What adults often take for granted in life's minutiae frequently delights children. One of those kids is Luna, 6, for whom the world is a giant laboratory, filled with opportunities to learn more about what things are, and why and how scientific actions take place. Luna's passion for science prompts her exploration of the world with energy and enthusiasm. 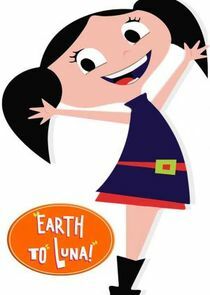 Little brother Jupiter and pet ferret Clive are by her side as the inquisitive girl pursues answers to her specific questions on "Earth to Luna! ".